Meet our new summer intern: Pedro Mármol Pérez! As of a few weeks and until mid-September, Pedro Mármol Pérez is staying at ISTO for a research internship. 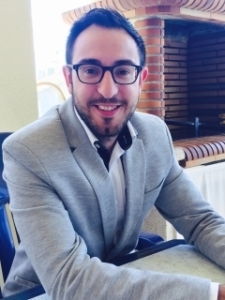 Pedro has a Bachelor in Business and Administration from the University of Almeria (Spain) and has gathered hands-on work experience as a data scientist. He is involved in data collection and cleaning for a project on venture capital corporations. After his internship Pedro will begin his Master studies in Digital Marketing at the ESIC Business & Marketing School in Madrid.